How you will get there? Where you will stay once you’re there? Regardless of your answers to the first two questions, we want to let you know about an awesome way to book your travel accommodations! If you haven’t heard about it yet, Airbnb is a service that allows people to rent out their apartments to travelers. 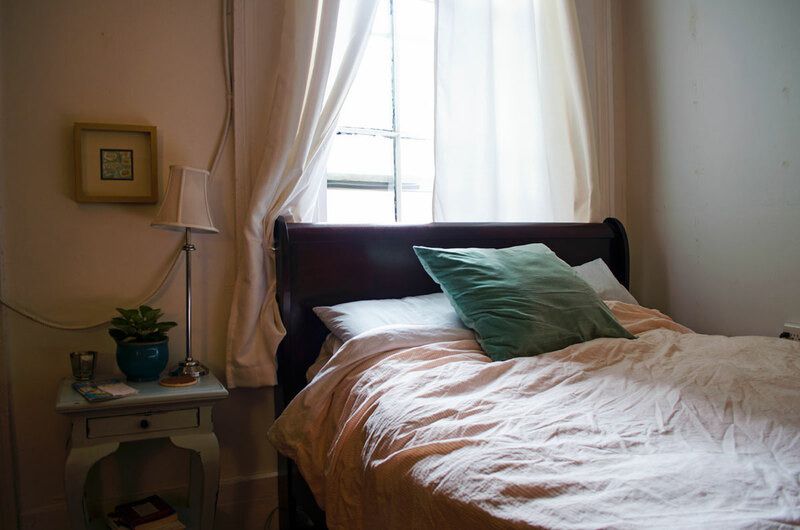 Located in 34,000+ cities, chances are you can find a private room or entire apartment wherever you are visiting. We have used Airbnb in nine cities and have always had great experiences. When we first started using Airbnb we only rented entire apartments, but most of the time we rent private rooms instead. So far, we have had awesome Airbnb experiences. Our hosts have been great and have given us their own suggestions of things to do around the city! We would like to guide you through every Airbnb experience we have had, starting with our most recent trip. Have you used Airbnb before? If not, check out their website! If you use this link and create your free profile, not only will you get $25 off your first stay but we will also get $25 credit to use on our next stay! Feel free to send us a message if you have questions. Figuring we would have some serious jet-lag after our 24+ hour journey to Southeast Asia, we decided it was best to start our trip with an Airbnb rather than a hostel. While researching our options we wanted something in the $50 per night range that looked nice and offered us a convenient location to public transportation. 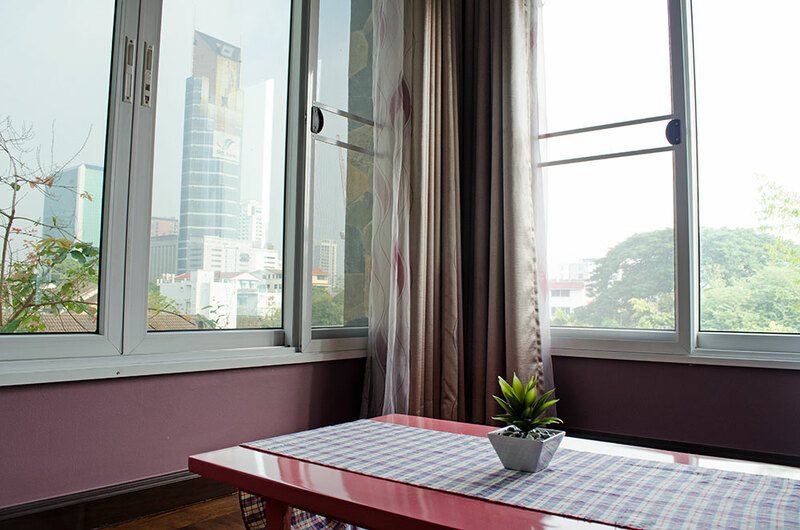 What we ended up choosing was a beautiful private room in a 3-story house located in the Aree neighborhood of Bangkok. The first level was a dedicated common area, where guests could eat breakfast and get to know the hosts a little better. The second floor had another private room for Airbnb guests, and the third floor had two more private rooms for guests, including our own. Our room had a large bed, a great view, and a big walk-in closet which also housed the bathroom. We even had the option of two different showers, indoors or outdoors. But the quirks that really made our stay special were the traditional Thai breakfast served fresh every morning, and the amazing hand-crafted leather goods for sale that the hosts made themselves! New York City for New Years Eve? How cliche! But we did it, and we stayed far away from Times Square. 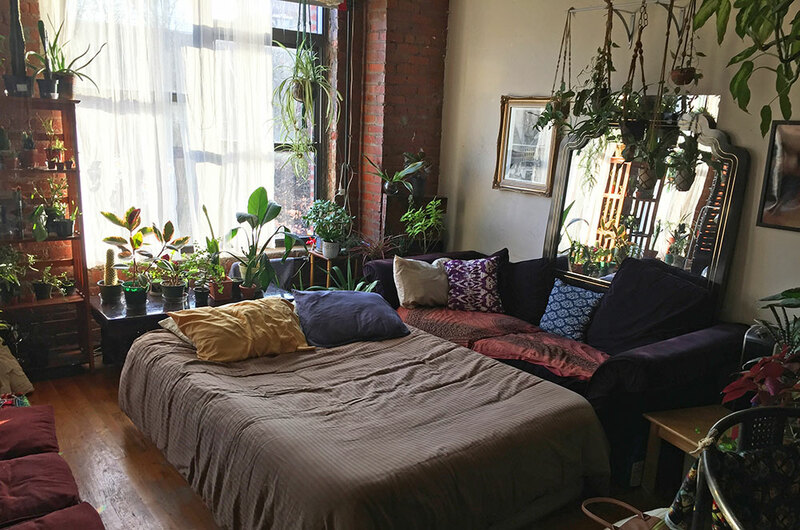 With a group of friends from our internships in Chicago, we decided to rent a loft across the river in Williamsburg, Brooklyn. The lack of privacy that comes with renting a one-room loft with 4 other people made our stay even more fun. 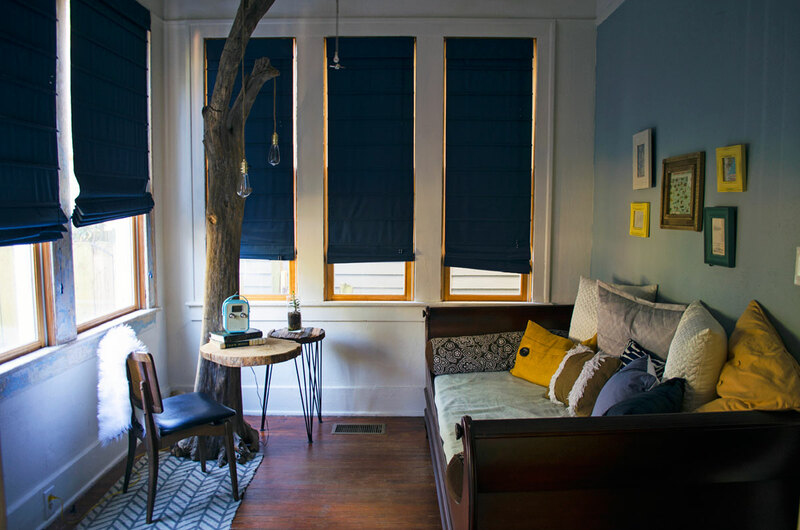 The space came with two large beds, several comfy sofas, artsy decor (the owner is a photographer! ), and TONS of plants. We could not get enough of the plants. We spent our time eating and drinking all over the city, but during our last day in New York we explored the area around our apartment. Although we did not stay in hip northern Williamsburg, we did enjoy the quirks of South Williamsburg, seemingly lost in time in the middle of a Hasidic community! The first stop during part 2 of our East Coast road trip was in Savannah, Georgia. For accommodation we rented a private room in the a 1920 duplex located in the Starland District. While it is listed as a private room, it really a smaller apartment with a shared bathroom. In fact we actually had two rooms to ourselves. One was a spacious bedroom with a queen size bed, while the other was a nice living space with a sofa and unique tree desk. 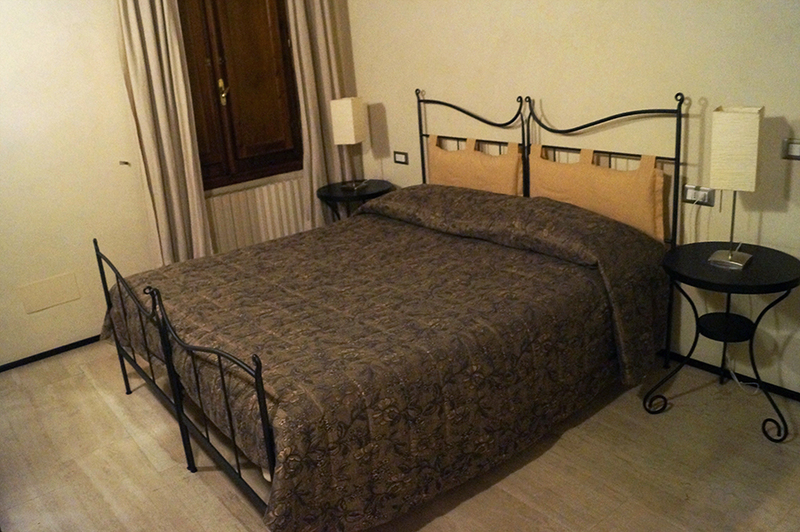 Both rooms were decorated beautifully and the host left a well designed booklet of local recommendations. While in the area we explored many parts of Savannah, including the Starland district itself. One day we spent a few hours visiting the many unique shops in the Starland District. Another thing we enjoyed was visiting the Savannah College of Art and Design (which Leslie almost applied to before applying to Penn State instead). When we planned our trip to New Orleans our plan was to stay with a Couchsurfing host for the first two nights and rent an Airbnb for the final two nights. 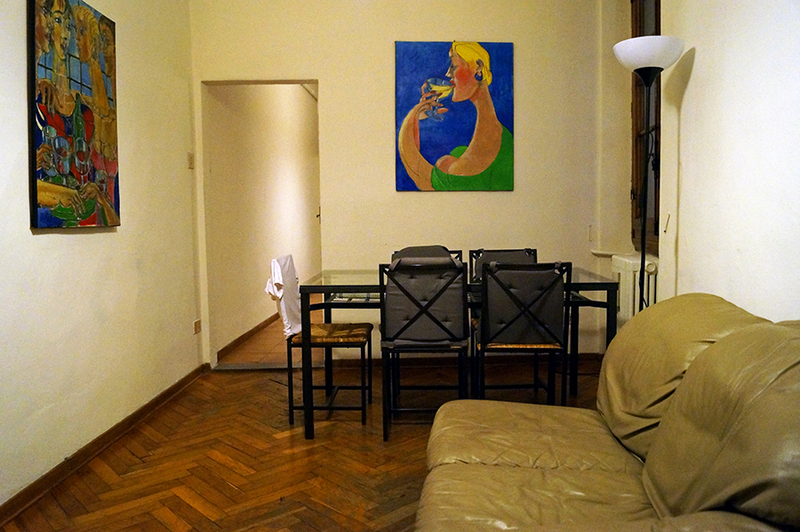 However, our Couchsurfing host cancelled on us after we had already arrived in the city. Luckily, we were able to find a private room nearby on Airbnb that we could instantly book for the night. 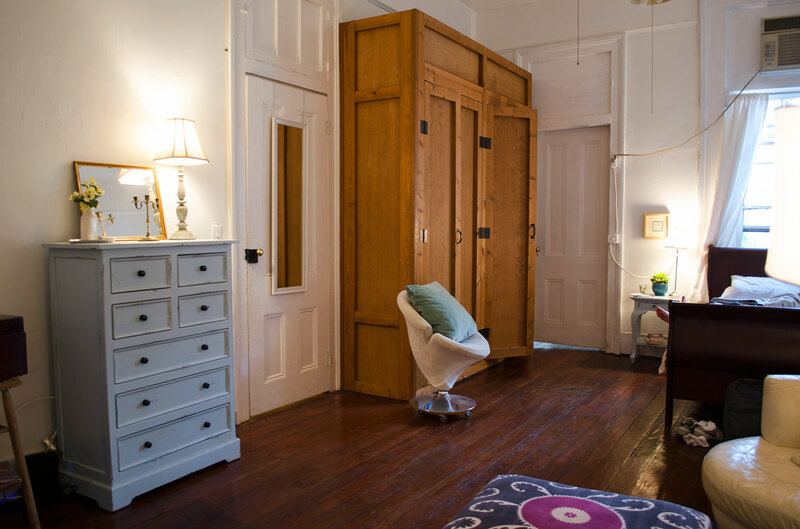 The apartment was a historic building on Magazine street which was recently converted into a yoga studio. Our private room was very spacious with hardwood floors and a queen size bed. 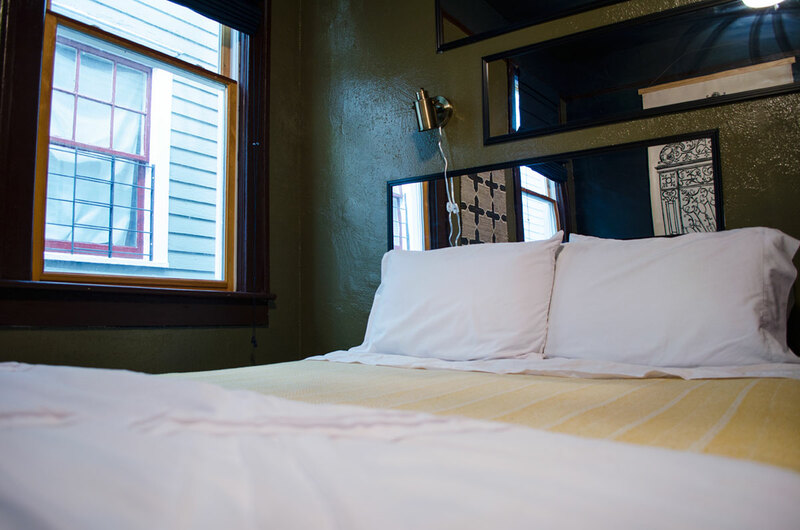 Since the yoga studio is new, the owner rents out the bedroom to supplement income during the businesses early stages. As a special thanks to their guests, the host offers a free yoga class to each guest. While Leslie wasn’t feeling well, Brad took advantage of the free class one morning (which ended up becoming a one-on-one session). 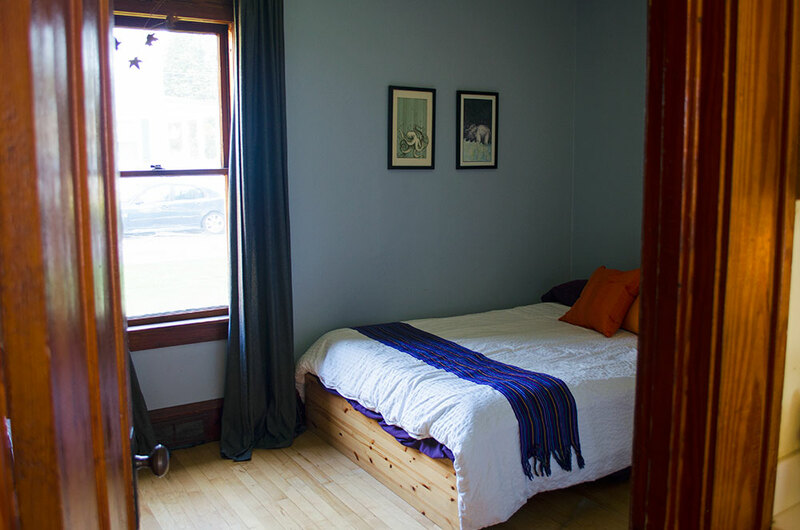 After couchsurfing for a few nights in downtown Burlington, we relocated to an Airbnb in the nearby town of Winooski. Winooski is about a 10 minute drive from Burlington, and is equally as close to University of Vermont’s campus. We only stayed in Winooski for two nights, but we definitely made the most out of our time there. We moved into the Airbnb after a long day of hiking, and then went out for a late night dinner at Misery Loves Company. We ordered our favorite Vermont beverages (Heady Topper & Citizen Cider), along with several small main dishes. The following day we explored Shelburne Farms and more of Burlington, but it was great coming back to our private room and bath after a long day out. 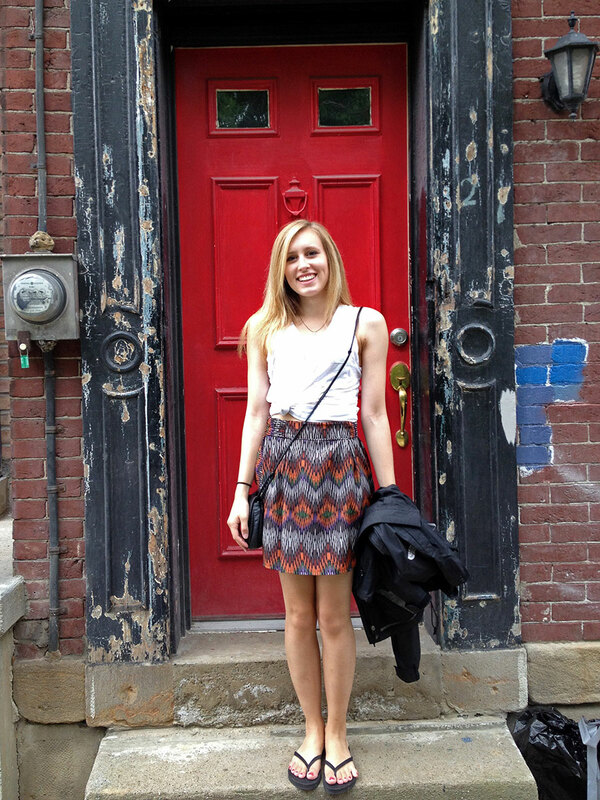 To kick off our post-grad summer, we decided to spend a long weekend in New York City. Our main reason for traveling to the city was for a Dispatch concert at Madison Square Garden, but we definitely made the most of the rest of our time as well. We caught up with some old friends, family, and enjoyed the summer weather in Central Park. Our Airbnb was located in Harlem, on W 115th street & Frederick Douglass Boulevard. 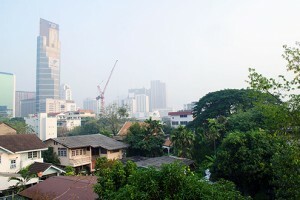 The location was very convenient to late night food, necessities, and a subway stop located about two blocks away. We stayed in a private room (and private bath) in one of the largest apartments I’ve seen in New York! There was plenty of space for the both of us, and the host was nothing but accommodating; she even let us stay way past checkout time that Monday. Another successful Airbnb stay to add to the books! Our final stop on the way to Chicago was Cleveland. I don’t know if it’s because it was our most recent trip, but I think this Airbnb will always be one of the most memorable. Our short time in Cleveland was very random and spontaneous. We knew little about the city beforehand, and honestly still do not know a ton now. We only stayed two nights, pretty far west of the city in Gordon Square. But our host was very personable and so much fun to get to know. 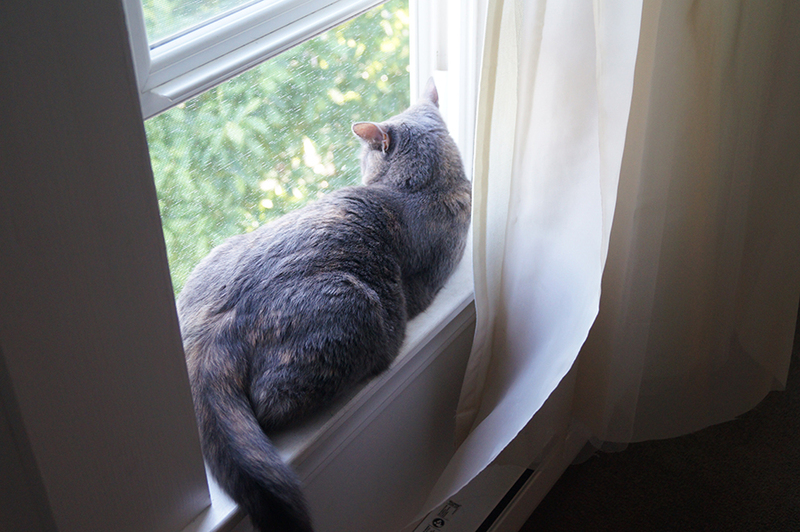 While we spent a few hours taking with the home owner, we spent twice as long playing with his cat, Ender. We often found him drinking from our bathroom sinks or relaxing in the shower; thinking back, we might have spent too much time playing fetch with Ender and not enough time exploring the local area. 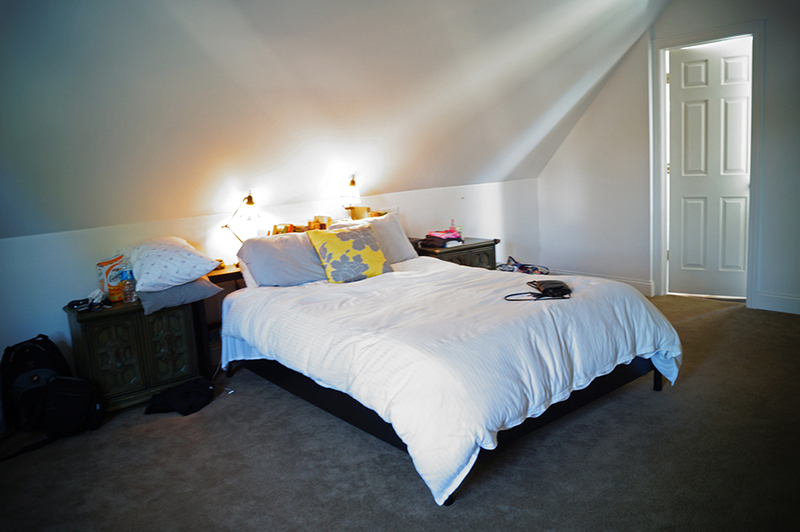 The room itself was a refurbished attic/loft space. Very roomy and had it’s own bathroom attached. Within walking distance of the house you will find Edgewater Park, while a short drive away is the West Side Market! During the summer of 2014, we both had internships in Chicago. In order to have a car for the summer, we decided to drive to Chicago from Philadelphia; which is about an 11-hour drive. 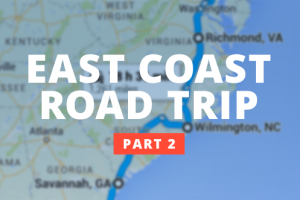 To split up the driving, we decided to make a couple overnight stops along the way. Our first stop was in Pittsburgh. This was the first time we chose to rent a private room, as opposed to renting an entire apartment. Fortunately, the apartment was set up in a way that made it feel like we did! We had our own bedroom and bathroom on the lower floor of an apartment. Only one other guest occupied this floor – a cute little cat that greeted us every morning (we of course could have prevented this by closing our door all the way…). 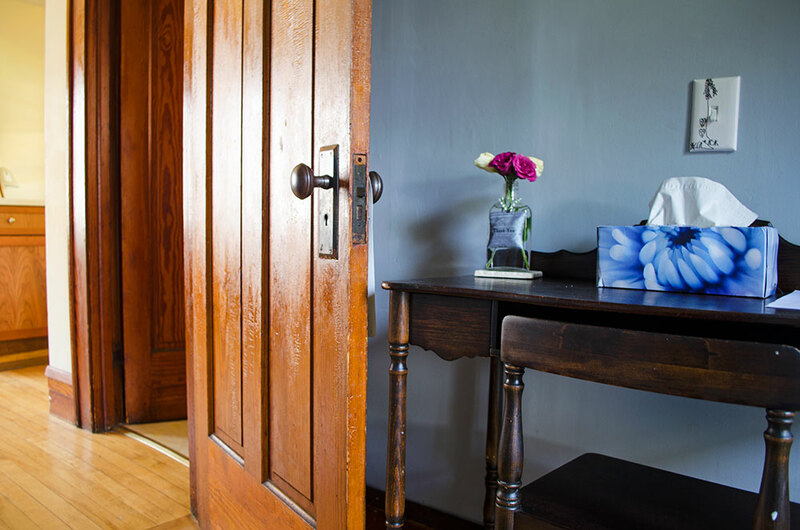 A convenient feature of this apartment is the separate entrance located in the bedroom, which allowed us to come and go without disturbing the home owner. The best part about this apartment is the short walk to the Andy Warhol Museum, which took under ten minutes to get to. 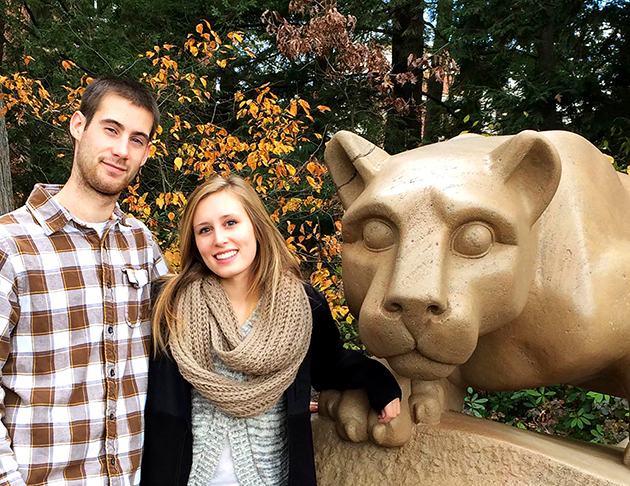 We made our way up to Massachusetts the summer after Brad studied abroad in Florence, Italy. After spending a few days visiting Brad’s brother and sister-in-law, we decided to spend a weekend in Boston. 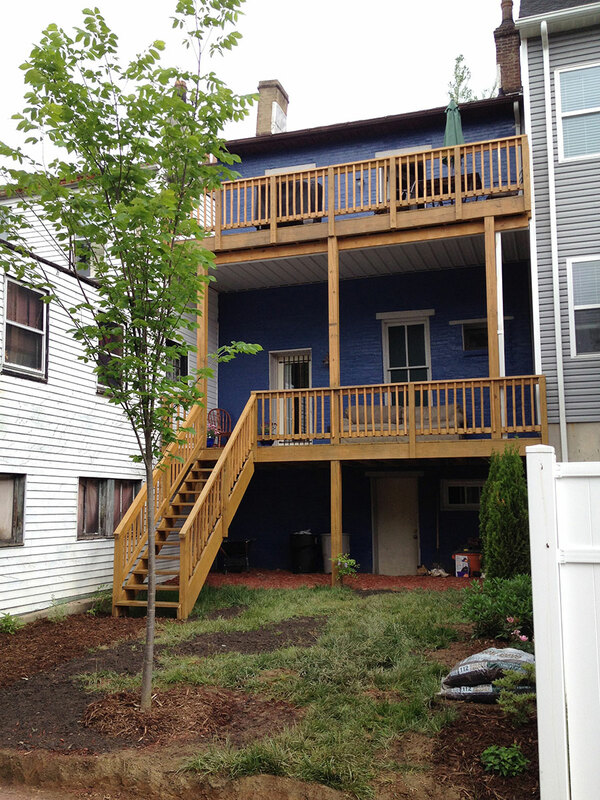 We rented an entire apartment, located in the North End section of the city. 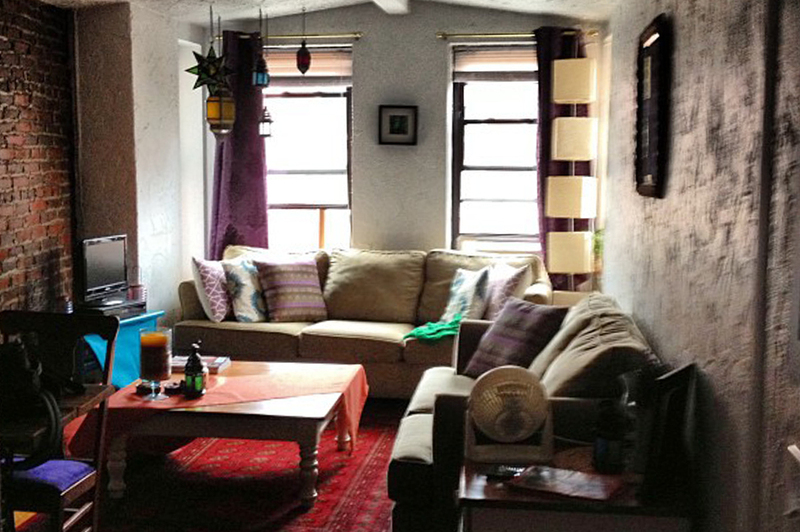 The Airbnb had such a fun, bohemian style; with tons of cute lanterns, comfy furniture and lots of candles. Our favorite part was that it was only one block from Mike’s Pastry. 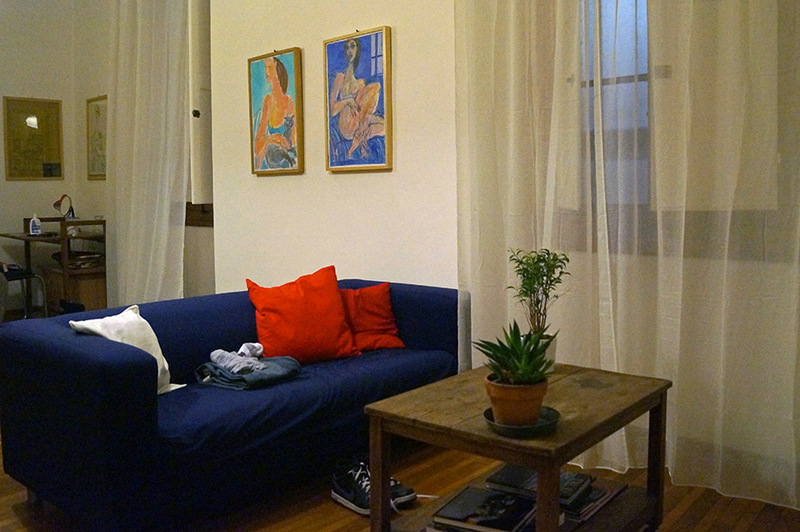 Towards the end of our spring break in Europe, we returned to Florence and stayed in one of the most luxurious Airbnb apartments we have rented. We had access to our own kitchen, living room, bedroom and beautiful bathroom. Although we only spent two nights here, it was definitely the right place to spend our last couple of days together! After spending a few days together in Florence we flew to Nice, France, where we spent a majority of our spring break. It was the end of Carnival during our time in Nice. While we were able to enjoy a few parades, most of the time it was raining. 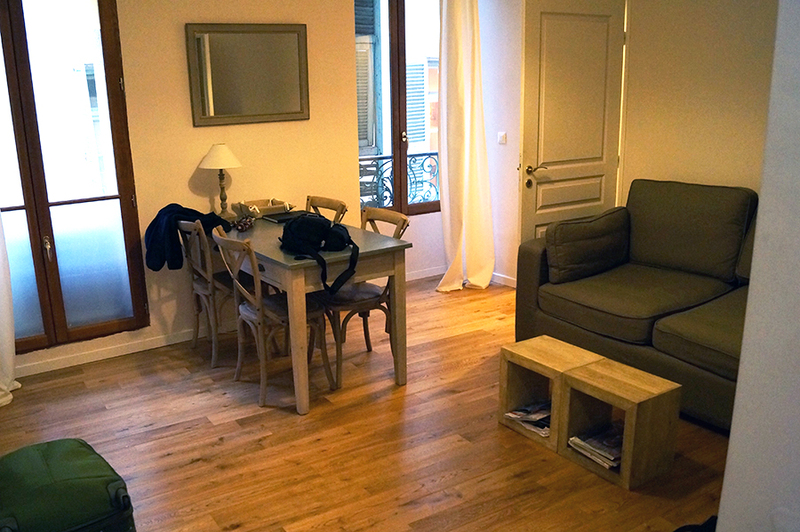 This time, The apartment was a tad smaller, but still very comfortable for two people. 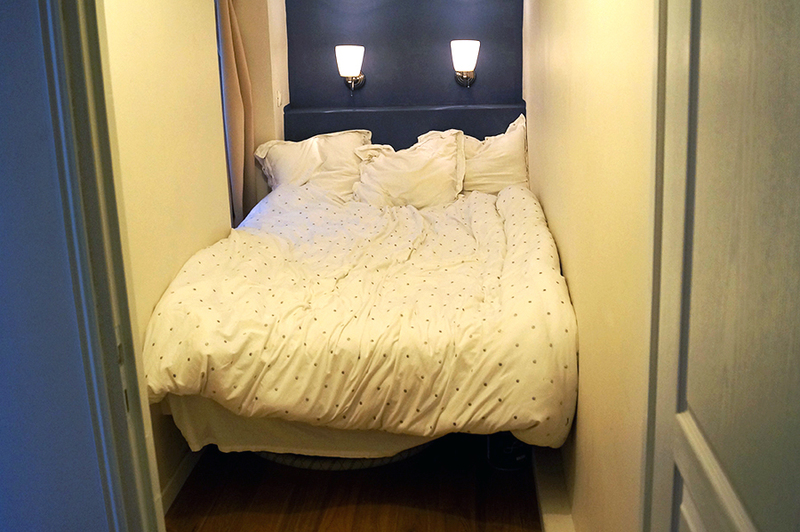 Our favorite part of the apartment was the “bed” room – which was a tiny room with a wall-to-wall mattress! Super cozy and cute. Great location. Every time we walked out the front door we were greeted by a large open street blocked off for foot-traffic only. This street features dozens of delicious restaurants, which we took full advantage of. Walk one more block east and you’re at the beach! We spent a lot of our time walking up and down the Promenade. Both of us were nervous and excited using Airbnb for the first time! Long ago, months before Brad left to study abroad for a semester, we sat down and figured out when we would be able to see each other. Since our spring breaks matched up, Leslie was able to fly to Europe to visit Brad. From there we spent hours narrowing down Florence apartments on Airbnb. With Leslie’s parents offering to pay for accommodation, our main concern was the location. After narrowing down our options to maybe 3 or 4 places, someone else made the decision for us. As we scrolled through the photos of one apartment, a ladybug flew onto Brad’s computer screen. Taking it as a sign of good luck we picked that apartment then and there! As it turns out, the bug was right! 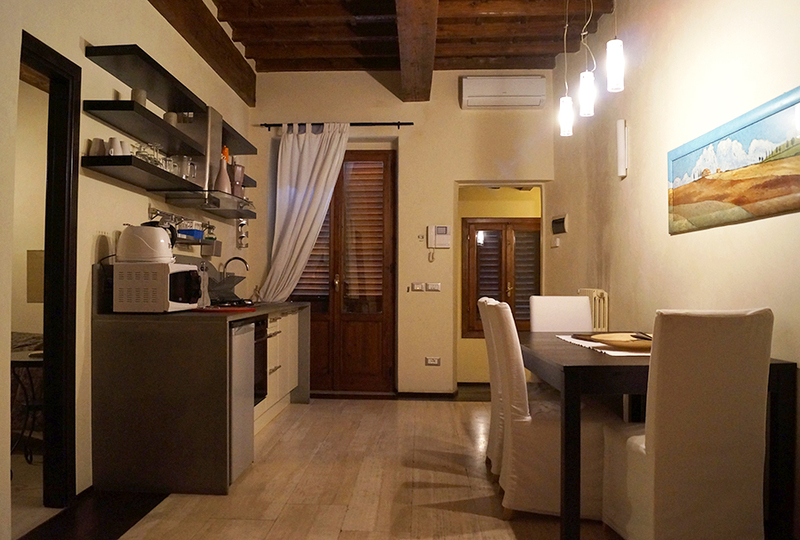 The apartment was gorgeous with an adorable European style kitchen, roomy dining room/sitting area, and the best part, a huge bedroom overlooking the Duomo. All of these places had one thing in common: they gave us a comforting “home base” to come back to after a long day of exploring. Whether you want a kitchen to cook your own food, a central location near that place you’ve been dying to visit, or a local to give you some suggestions, Airbnb has you covered! Have you used Airbnb before? If so, where have you stayed? How was your experience? Would you use Airbnb again? Leave a comment below! I love the look of the Boston apartment! 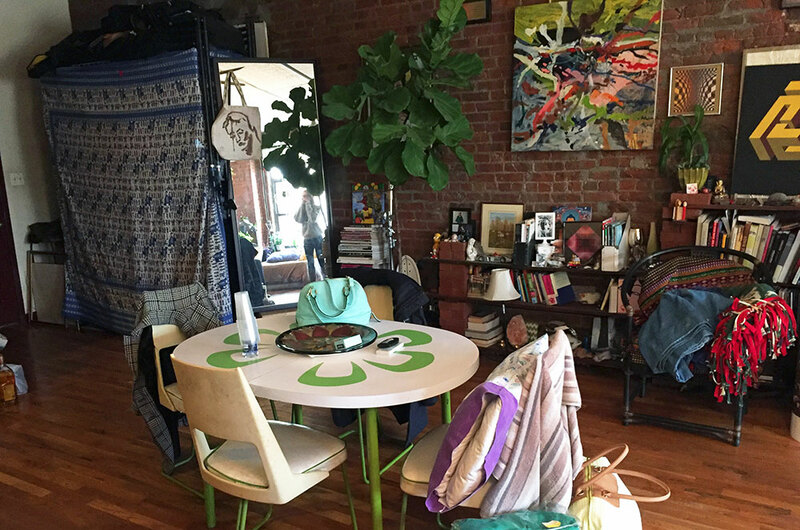 We love the variety of apartments on Airbnb, the Boston apartment definitely had one of the best atmospheres yet…plus it was steps from Mike’s Pastry!